From a technology usability perspective, you can’t do much worse than make your users feel they’ve lost control. It’s maddening (and a bit frightening, if we admit it) to feel that “the computer” is doing things without your consent. We’re tolerant to allowing actions we don’t understand (after all, not everyone should be a technologist or a computer scientist), but we always want to have the kill switch at hand. End-user operating systems (Windows, MacOS, GNU/Linux desktop environments etc) always have such a kill switch – it’s usually something red and obvious on every window (like the big “X” in the red box at the top right corner in Windows XP/7). If you don’t like what it’s doing, you have the power to kill it. Why? Because it’s your computer, dammit, and you should have the final word! 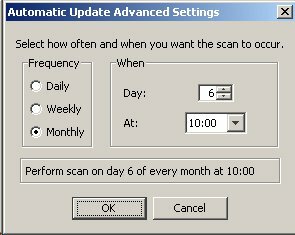 Here is a screenshot of the “Windows Genuine Advantage Notifications” tool (a propaganda term if there ever was one) installer: All application controls (back, next, cancel) have been disabled, and so has the omnipresent “X” that is supposed to offer users the warm & fuzzy feeling of control in every single Windows application. 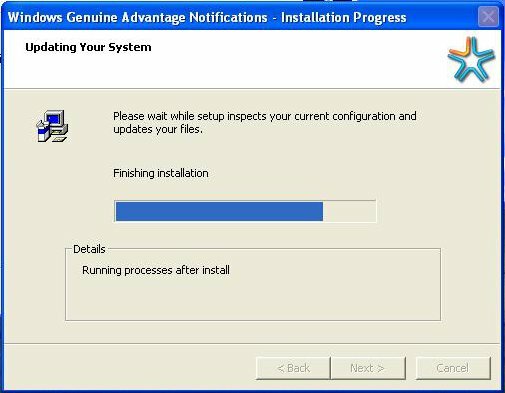 Installers have for years now had ways of trapping window/application interrupt requests and responding to them gracefully. Taking away control from the end user in such an obvious manner is both unsettling and frustrating. Sometimes companies go the extra mile to truly make you feel like a “valued customer”. Well done, Bank of America. 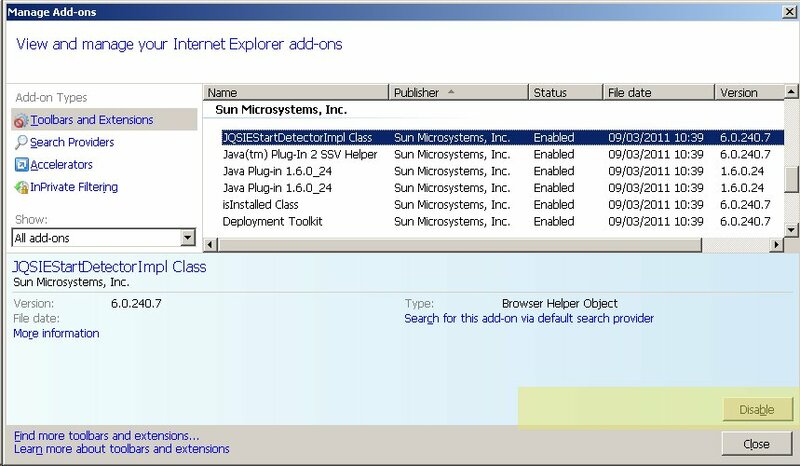 Sun Oracle has been giving us a few reasons to get rid of the Java Runtime Environment (JRE) from end-user machines for a while now. I’ve been struggling with this decision, as I need Java for my favourite mind mapping software but I don’t want it to be used against me by Internet criminals. 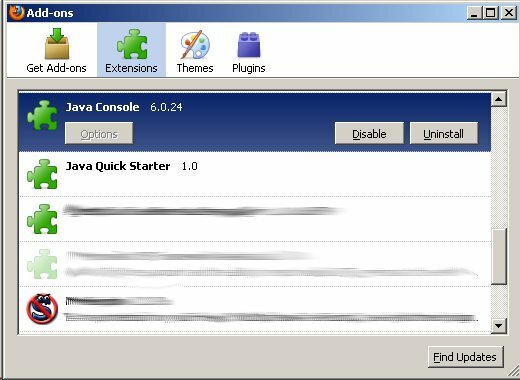 Keep Java for local use, but disable Java for the browsers. 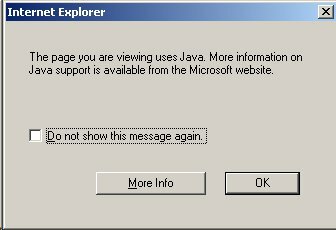 This still allows local applications to use Java, but stops Web-borne remote exploits from being delivered to my machines. 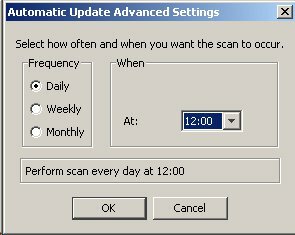 Then click “OK” to save & close this dialog and “OK” again to save & close the Java settings window. 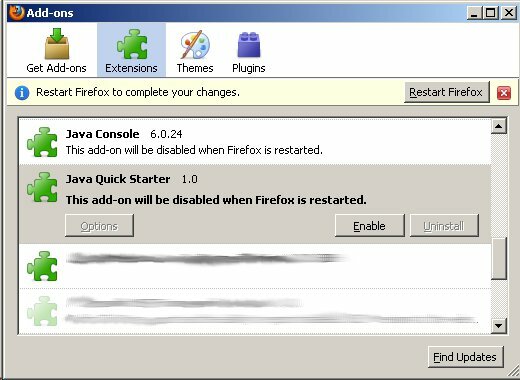 Now it’s time to hit that “Restart Firefox” button in the Add-ons window to restart your browser. 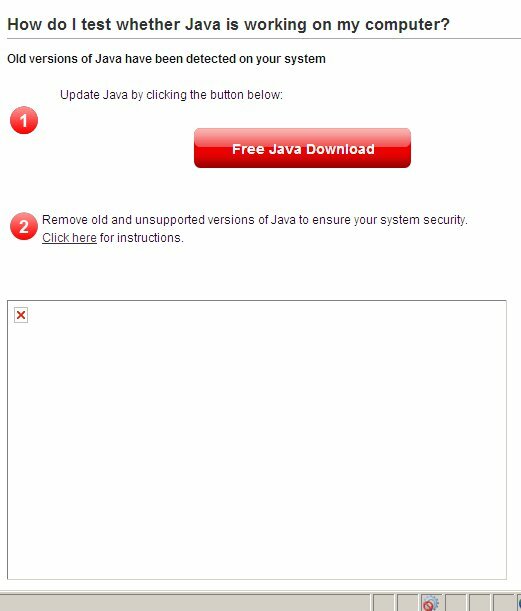 After you’ve restarted, visit http://java.com/en/download/installed.jsp?detect=jre&try=1 with Firefox to verify that Java is disabled. 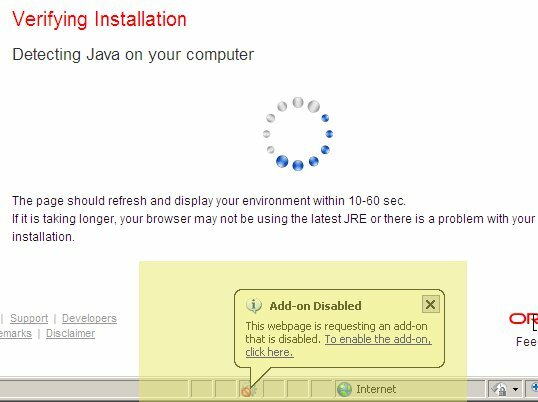 Congratulations – Java has been disabled in Firefox! Note: Some people may point out that using the NoScript plugin achieves the same goal in a more elegant way – i.e. 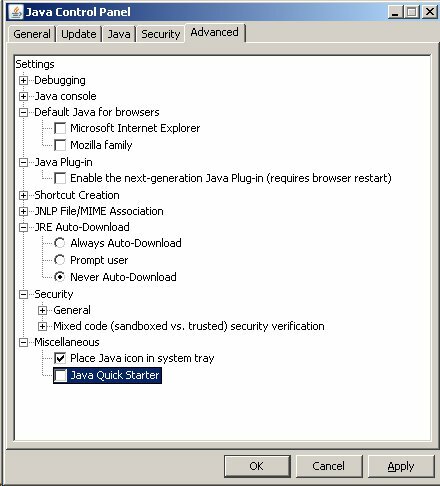 it allows one to selectively allow the execution of Java code in Firefox. The problem here is that NoScript works on the premise that websites you trust will not deliver malicious code to your machine. 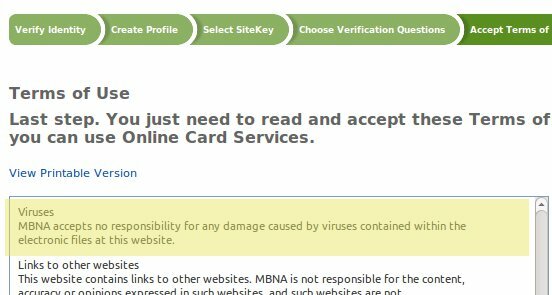 Unfortunately there are reports that claim that up to 75% of websites serving malicious code are legitimate websites that have been compromised. Add to that the fact that malicious code can be delivered to your machine through ads served from trusted domains like google.com and yahoo.com. The only way of protecting against this headache is really to keep all browser plugins updated and disable the ones you don’t absolutely need. Java is not the only culprit here, Adobe’s PDF reader and Flash plugin, as well as Microsoft’s DirectShow and Media Player are also repeat offenders. First, make sure you have the latest version of the browser. Microsoft itself is begging people to stop using IE6, as it’s an open window for remote control of your machine by criminals. Download and install the latest version of IE. Go to the menu “Tools” -> “Manage add-ons”. Now click the “Close” button on the bottom right and close your browser. 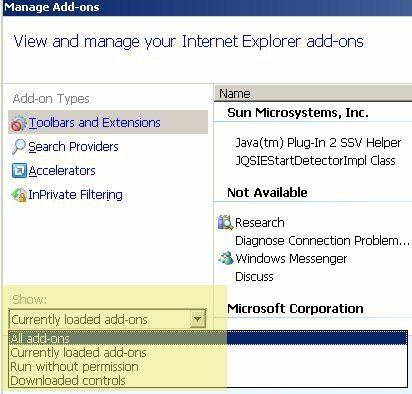 Click OK and then fire up Internet Explorer to visit http://java.com/en/download/installed.jsp?detect=jre&try=1 to verify that Java cannot be executed in IE. …which is lying to you. 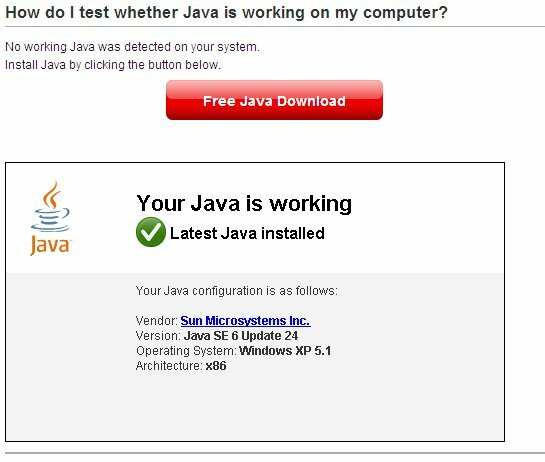 You don’t have an old version of Java. You just have a disabled installation. If you need to use Java for local applications, that’s the best place to be. Otherwise, if you’re tired with all this faffing about, just uninstall Java completely to get it over with and have one less thing to worry about.